Our Girls | Evenstar Labradors. CH. 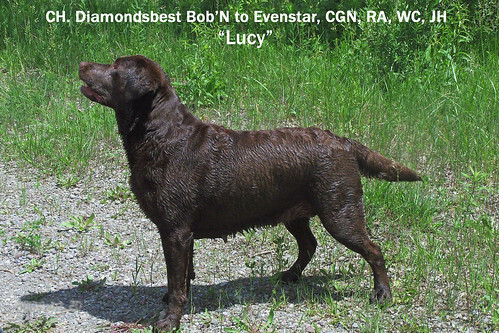 Diamondsbest Bob’N to Evenstar, CGN, RA, WC, JH “Lucy” finished her championship very quickly. 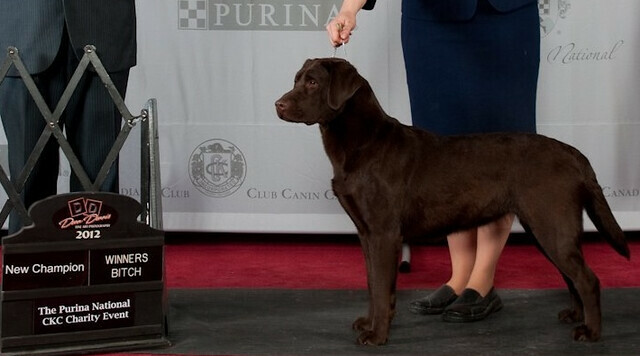 She is a very dark chocolate with lovely dark eyes and a gorgeous tail. Lucy did a great job to attain her WC and JH. The CGN was a breeze and Rally Novice and Advanced were easier for her than me. 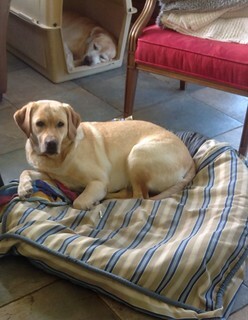 She has a wonderful temperament, loves to retrieve bumpers or birds and loves our walks out in the wild. (I walk & she runs). She is an attentive mother and teacher. 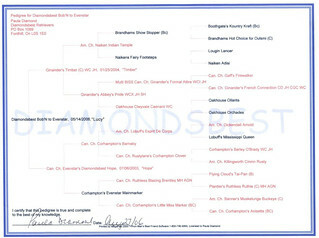 Nurtures her puppies as well as other puppies and enjoys all our visitors. A truly wonderful girl who is full of chocolate kisses. CH. 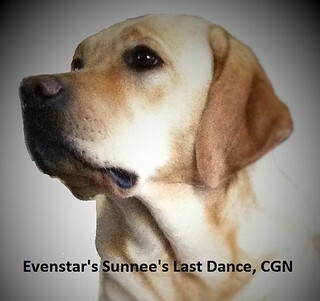 Evenstar’s Sugar’s Ms Daisy, CGC, TD, UTD “Daisy” is a beautiful light yellow with a nice dark eye. 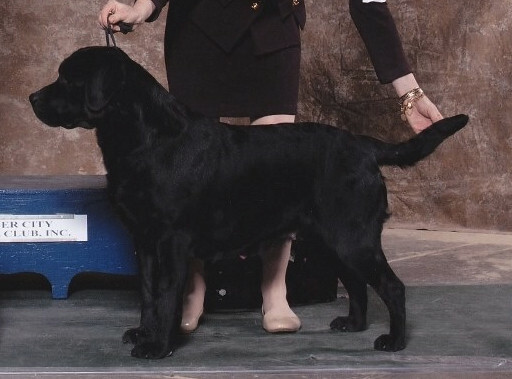 She finished her championship very quickly with 2 Best Puppy in Group and a Group 4th. She earned her Tracking Dog title on first time out with only limited practice. Her natural abilities shone through and made it very easy for me. We are working on our Urban Dog Tracking and will start on the Field Work soon as well. She has produced one litter of puppies. All are gorgeous and one male finished his championship at 11 months. She is a great mother and teacher to her pups. 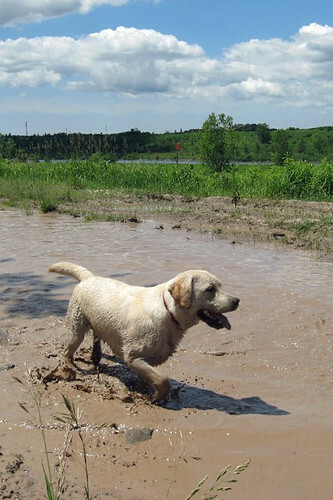 She loves everybody, and as you can see in the picture she loves water – clean or muddy.